The Cadence of Gameday wouldn't be complete without tailgating, food, and beverages. Every now and again, and especially now for the holiday weekend, that's the focus. Cackalacky makes the finest barbecue sauce that would never dare call itself that. It wouldn't dream of it. 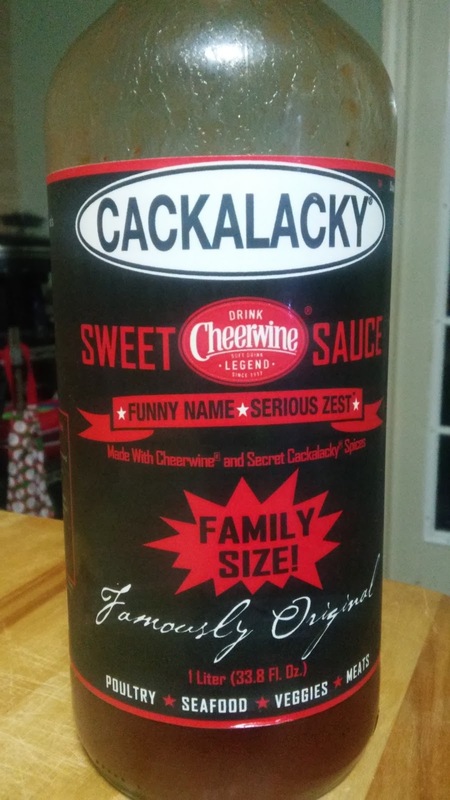 North Carolina-based Cackalacky draws its name for the vernacular of a region where barbecue is taken seriously, and its sauce is distinctly vinegar- or tomato- (or, if you must, mustard) based. 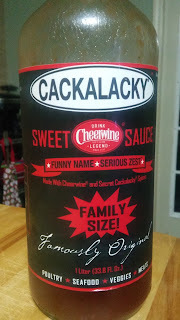 Cackalacky's sweet Cheerwine sauce, in contract, edges much closer to the sweet, sticky sauces one might find in Memphis or Kansas City. But that doesn't change one fact: It's damn good. The good folks at Cackalacky started in the sauce business over a decade an a half ago. Their flagship offering is a tangier sauce that's sweet potato-based, and also delicious, but when they joined forces with fellow North Carolina product Cheerwine, the results were legendary. As a soda, Cheerwine's taste is unique among typical offerings, but the cherry flavored treat is undoubtedly of the Carolinas. In similar form, the Cheerwine sauce is sweet and tangy, and while it wouldn't call itself barbecue sauce, following the lead of your favorite sweet sauce might give you some guidance as to where you'd like it best. 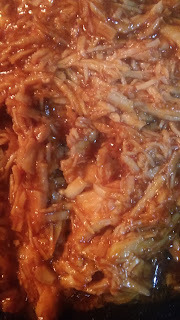 That may be topping a sandwich, saucing something on the grill, or flavoring shredded chicken or ground beef. Rumor has it it's even great on pulled pork, which is probably as perfect as it is sacrilege. In another Carolina collaboration, the sauce is now the feature of a new pork chop sandwich from Biscuitville. I treated myself to one yesterday (for research. Yeah, that's it. Research.) If you're still figuring out your eating plans for the 4th of July, I'd highly recommend grabbing some if it's within reach. It's available by the jar, though I tend to go for the family size bottle. Whatever you do, just don't be like this guy.